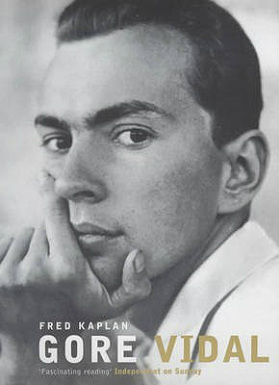 Fred Kaplan's insightful biography of the inimitable and brilliant Gore Vidal. Few writers of recent memory have distinguished themselves in so many fields, and so consummately, as Gore Vidal. A prolific novelist, Vidal also wrote for film and theater, and became a classic essayist of his own time, delivering prescient analyses of American society, politics, and culture. Known for his rapier wit and intelligence, Vidal moved with ease among the cultural elite-his grandfather was a senator, he was intimate with the Kennedys, and one of his best friends was Tennessee Williams. For this definitive biography, Fred Kaplan was given access to Vidal's papers and letters. The result is an insightful and entertaining portrait of an exceptional and mercurial writer. Fred Kaplan, "Bio Hazard: The Perils of Writing a Life of Gore Vidal. Lingua Franca. October 2000. Fred Kaplan, "Vidal's Magnificent Strengths, Appalling Weaknesses." CNN. com. 8/2/2012.